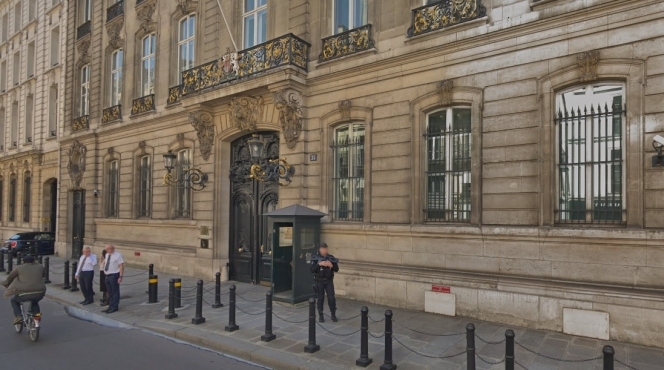 The consular service has been gearing up to offer more help to Britons living in France during the Brexit process, campaigners for Britons in the EU were told in a meeting at the British Embassy this week. Campaigner Paul Hearn of Brexpats: Hear Our Voice said a consular service representative told them on Wednesday that the current trend was moving away from helping British visitors to France to focus more on helping those who live here, who had made fewer demands on their help before Brexit. The representative said that an increase in consular staff across the EU of 40% was under way. “They’ve realised that in the last 40-odd years they’ve not had to support UK citizens in Europe that much and they’re realising there’s now likely to be a need for that. Because of Brexit they’ve got no choice but to support UK citizens in the way they were doing before." This follows recent years in which the UK had streamlined and reduced the consular service in Europe and given extra focus on expanding services further afield. Mr Hearn said the consular services representative also acknowledged the need to reach and support vulnerable British people who may not have internet access. The representative said they have been working with mairies on this and the ambassador, Lord Llewellyn, had spoken of it to an assembly of French mayors. “Consular services do occasionally get contacts from mairies about vulnerable people already and they are building on an established network,” said Mr Hearn. “Sometimes the mairie becomes aware of a vulnerable British person and they contact the Interior Ministry, who contact the embassy. “She [the representative] gave an example of how they had helped someone in Marseille last week who had been reported through the mairie system as living in poor conditions. The campaigners were also told that Britons experiencing particular problems with carte de séjour applications and not able to obtain local help or to resolve them through usual channels should contact the embassy via the Contact form at its website here. “If necessary, they will contact the Interior Ministry and take it up on a case by case basis,” he said. “That was also confirmed by a representative of the Interior Ministry."